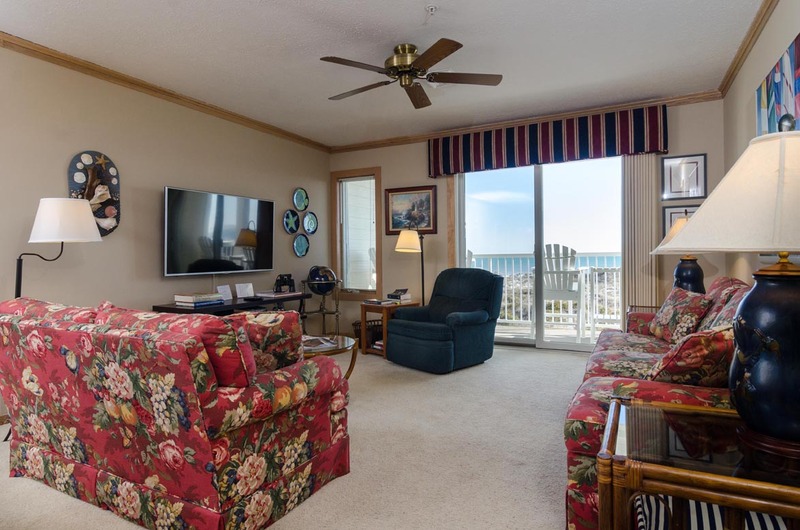 Enjoy wonderful ocean views and breezes from your private balcony in this 2nd floor, 3 bedroom, 2 bath condo in Wrightsville Dunes. 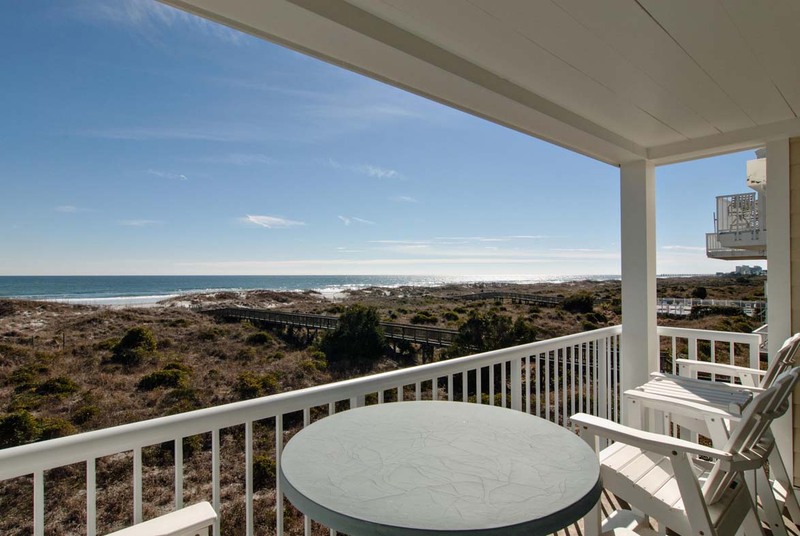 Nestled in the dunes at the secluded north end of the island, Wrightsville Dunes offers a wide, white sandy beach accessed by private walkways. 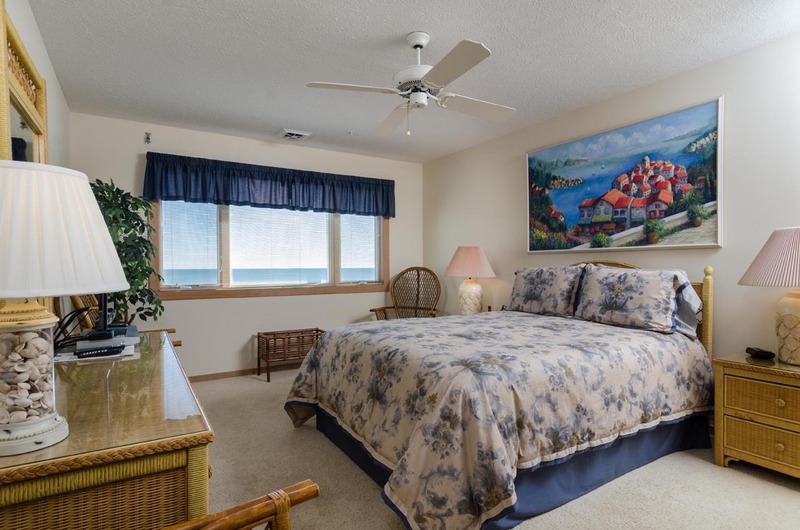 You’ll feel like you have the beach to yourself! 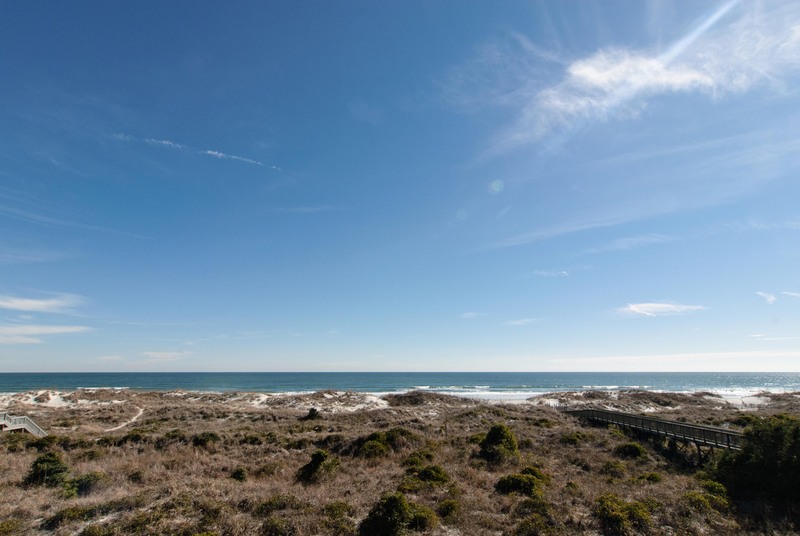 Enjoy a leisurely stroll along the shoreline to Mason’s Inlet where exclusive Figure Eight Island is a stone’s throw away. 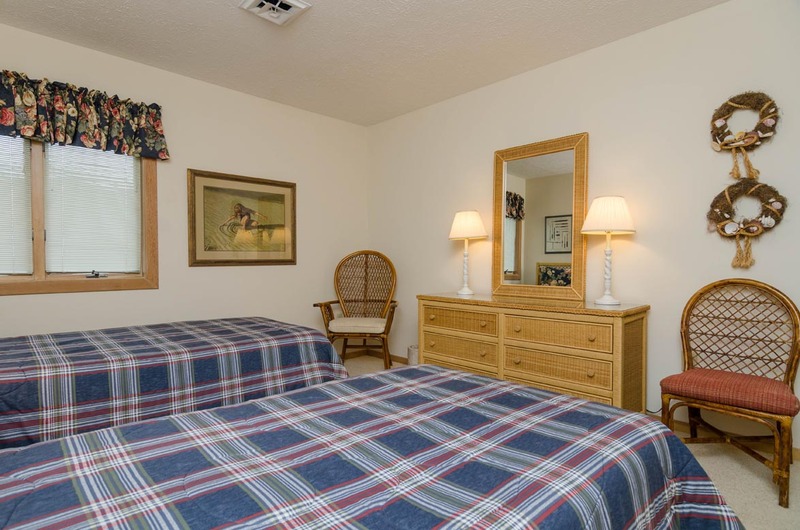 Relax in a comfy chaise at one of the two community pools, or play a match or two on the community tennis court. The Wrightsville Dunes complex requires all vehicles to display an HOA issued parking pass while parked on the property in order to avoid citation. Passes are strictly enforced and limited to two per rental unit; no exceptions can be made. All reservations that take place between May to September will require parking passes and must pay $10.00 for the two allowed passes which will be issued to the reservation holder at the time of check in. There are 2 assigned parking places and an elevator to all floors. Occupancy: 6. No Smoking. No Pets. Always enjoyable at this location at Wrightsville Beach and again this year! This is our 3rd year in a row renting this unit. 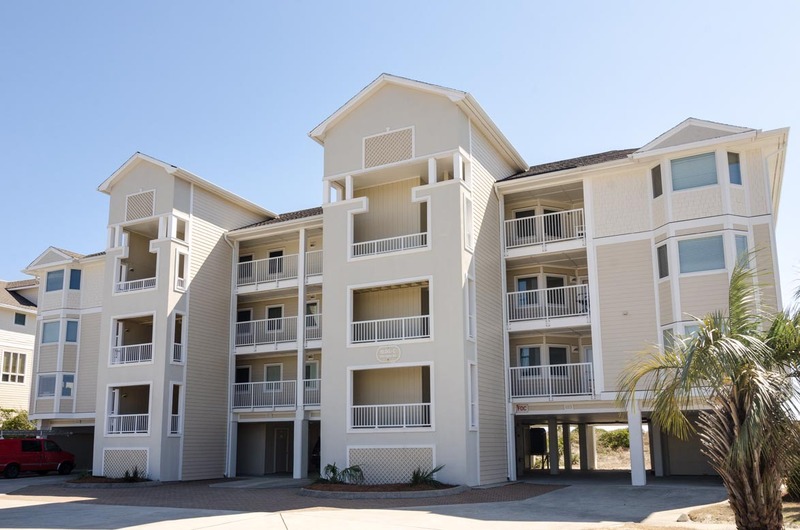 The unit is conveniently located with a wonderful view of the ocean/beach. The unit is clean and well appointed. 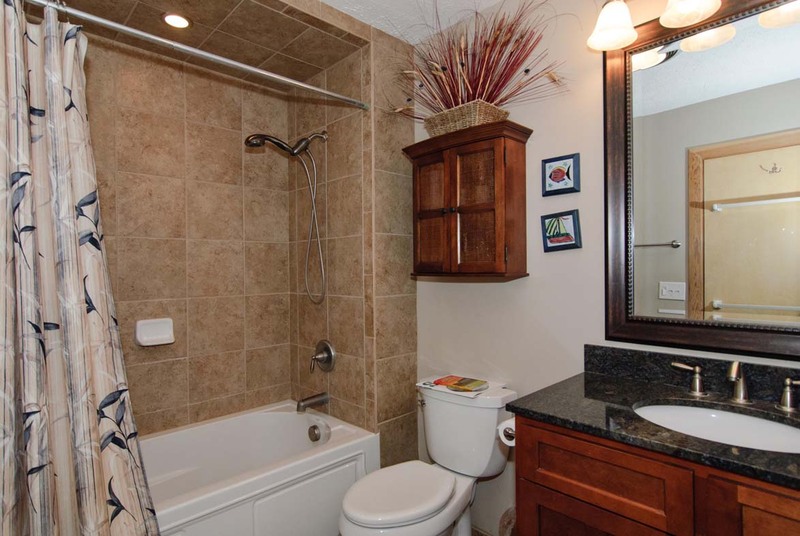 The unit is very convenient with easy access to the beach. 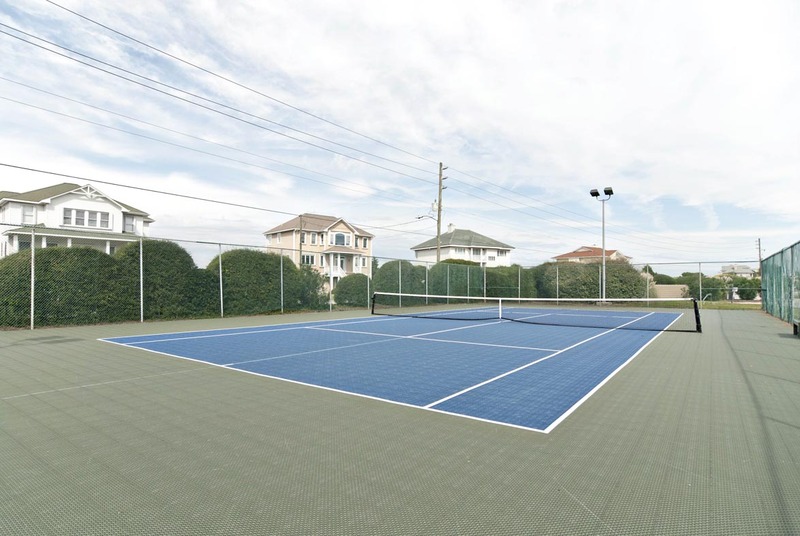 Excellent property in nice quiet location on Shell Island. 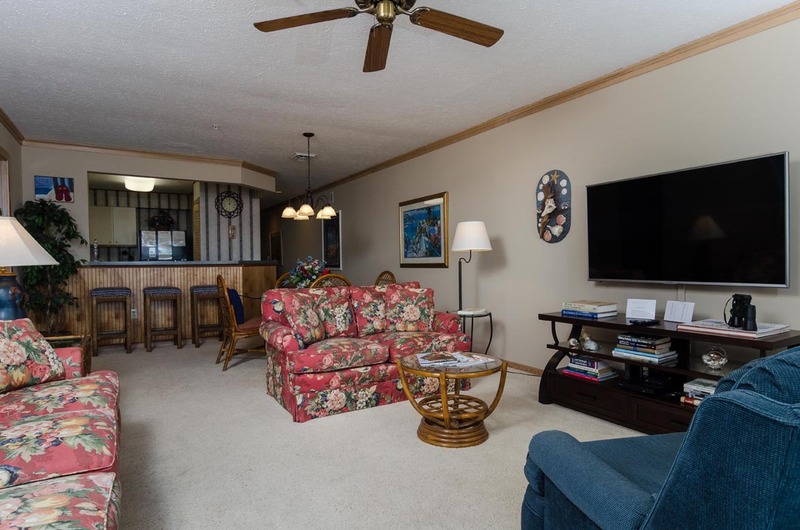 Condo was clean and well maintained, well furnished with great access to the beach. The baths were excellent- looks like they had been recently updated. 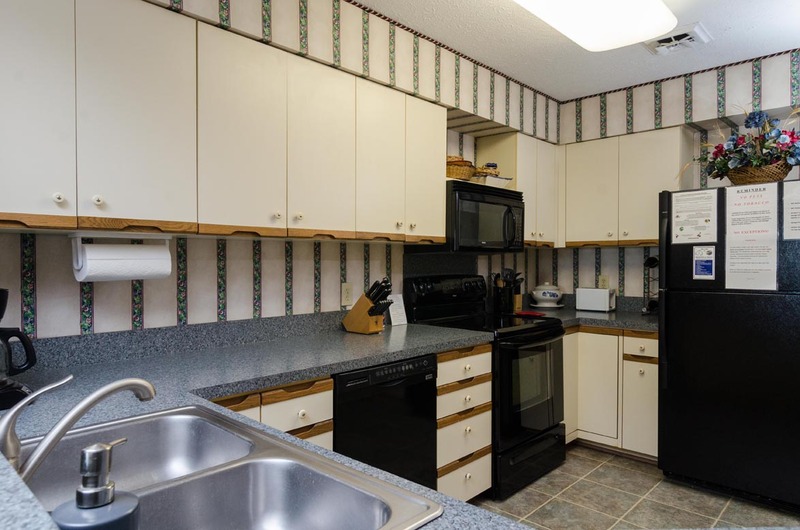 It will soon be time for a kitchen update, but everything was clean and in working order. 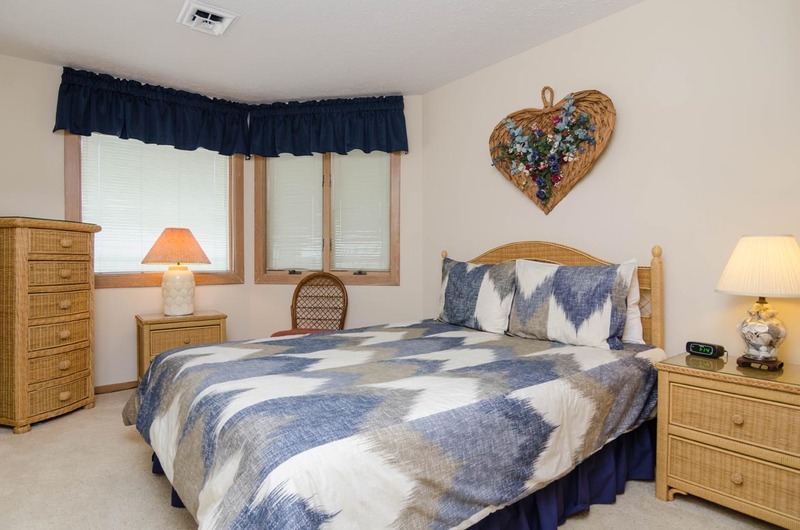 The place rented was clean, well equipped and a short walk to the beach. The pictures on the website are a true representation of the unit. The only negative was the smell and taste of water from the city. Best bring your own water for drinking. 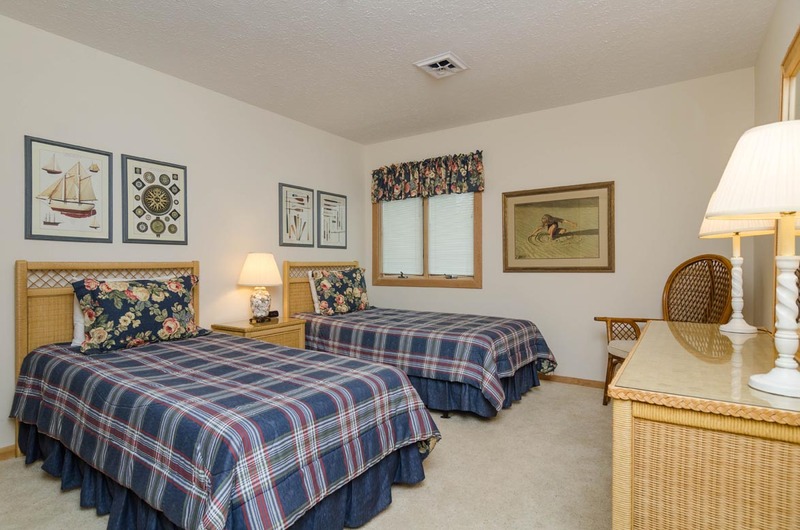 We had a very nice condo, with all the quality and amenities that you would want. The beach and pool and tennis courts were perfect. This is at the north part of the beach and is less crowded. The houses are newer and the tenants are older than the central beach area. The view is terrific. David- Glad to hear you enjoyed the location at the north end! Hope you'll visit again soon! The only constructive comment: there was no dust pan (so we bought one and left it there). Had a wonderful time, found the condo great, convenient, and beautiful views! We thoroughly enjoyed our stay at this rental property. 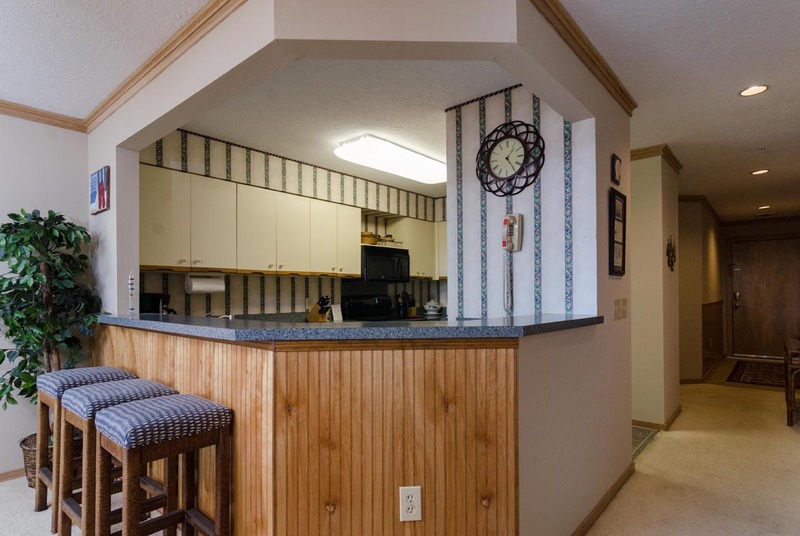 The furnishings are very nice and the kitchen has everything you could need for a week at the beach. 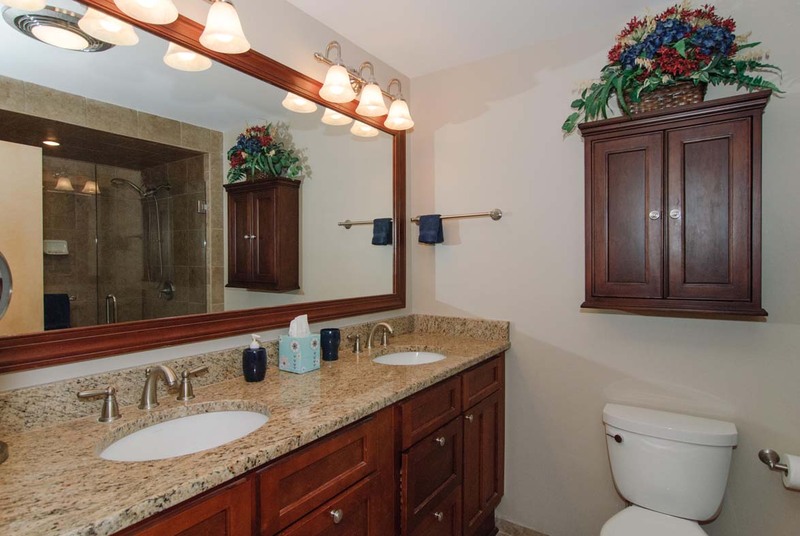 Bedrooms and bathrooms are super clean and nicely done. The location is oceanfront and as close as you can get -- the dunes are wide to prevent erosion - but there's a nice wooden walkway from the house to the ocean. 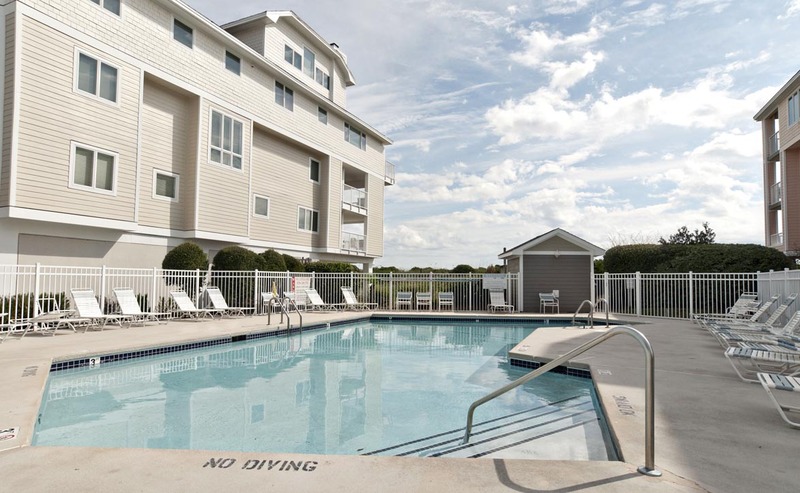 The outdoor pool is one building over but a very short walk and has a covered sitting area. There's access from the beach as well so we would generally walk back via the pool. There's a storage unit on the ground floor for beach chairs and umbrella which is convenient and of course an outside shower to rinse off. The deck has nice chairs and high tables to enjoy the ocean any time of day. Highly recommend this rental. This was our second stay at the Phillips condo. We love the location of the condo. The north end of the beach is less crowded. 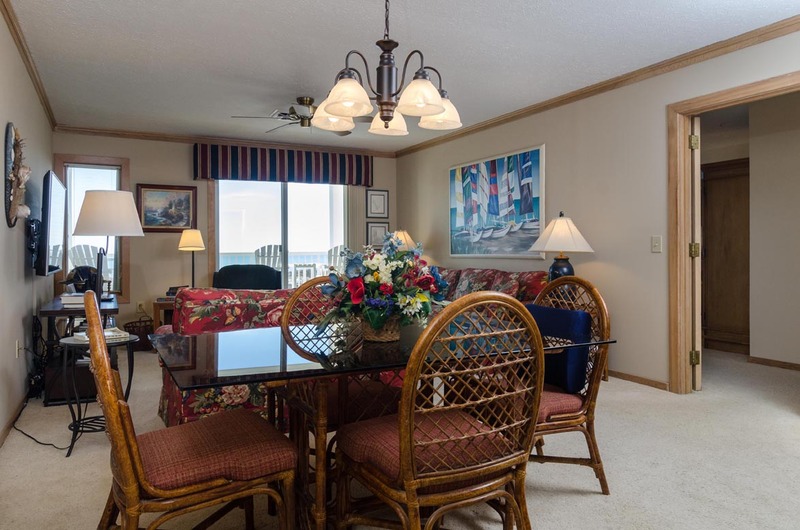 The condo is a very close walk to the beach. 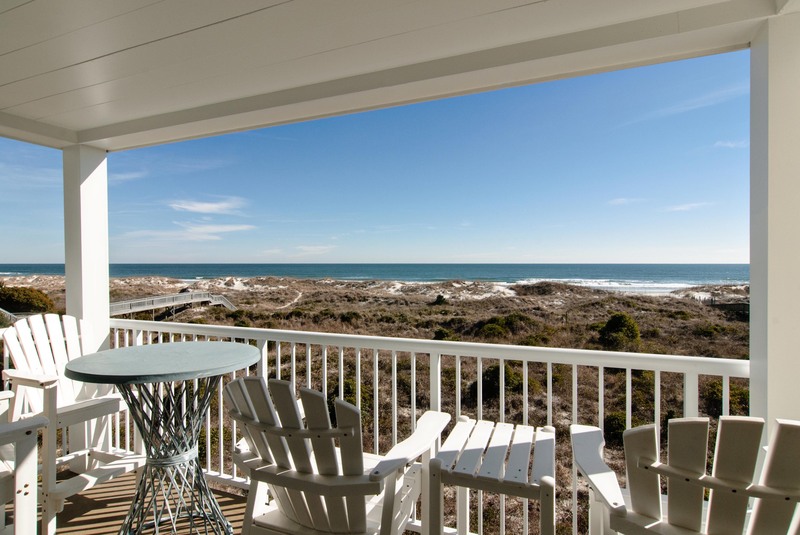 The view from the condo porch is spectacular. The size of the condo fits our needs perfectly. The beds were comfortable. Bryant Real Estate was terrific to work with. On the down side, we got a $75 parking ticket in the condo parking lot when one of our cars was not parked in a parking spot but stacked in front of one of our cars with a permit next to the garage.